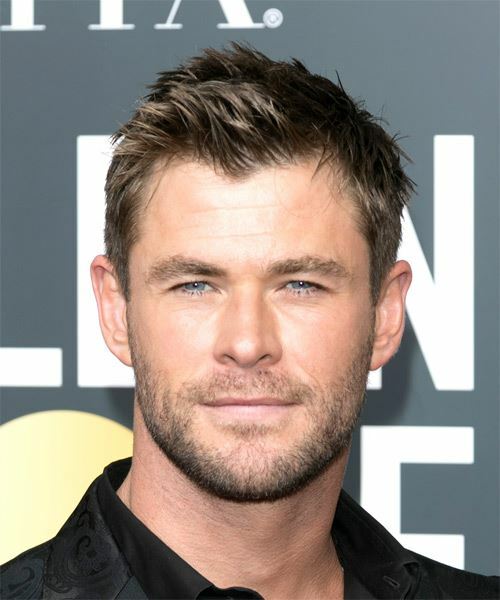 The back and sides of Chris Hemsworth's casual cut are clipper cut short and close the head maintaining a neat edge blending into the top length that is jagged cut to achieve a textured look and feel that is easy to style with a little product. This is a perfect hairstyle to show off a square face and great for any occasion. Use wax to twist and spike the top layers of this 'do.